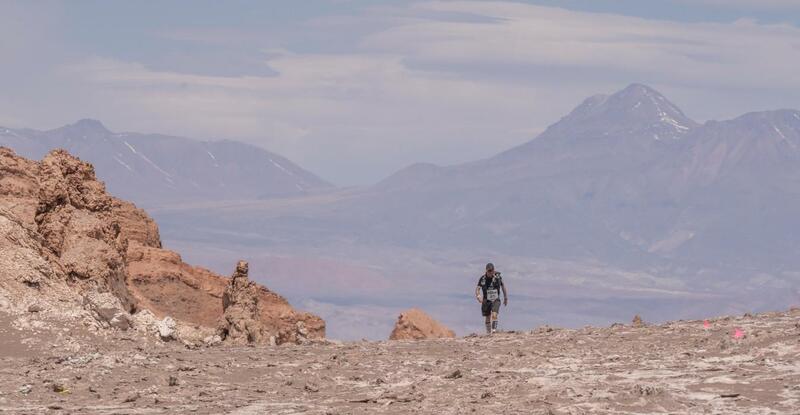 The Atacama Crossing (Chile) is part of the 4 Deserts Race Series, named by TIME magazine as one of the Top 10 Endurance Competitions in the world. The fastest finish time on any Atacama Crossing course is held by Vicente Garcia Beneito of Spain with an overall time of 23 hours and 46 minutes in 2012. 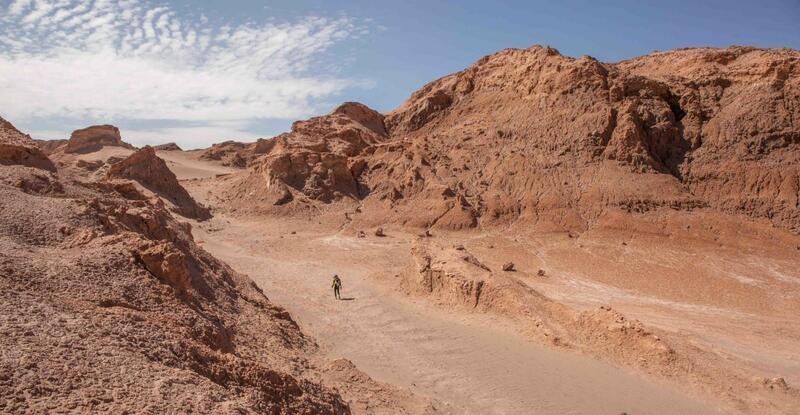 The Atacama Crossing (Chile) 2019 starts on 29 September and is the fifteenth edition of the race. 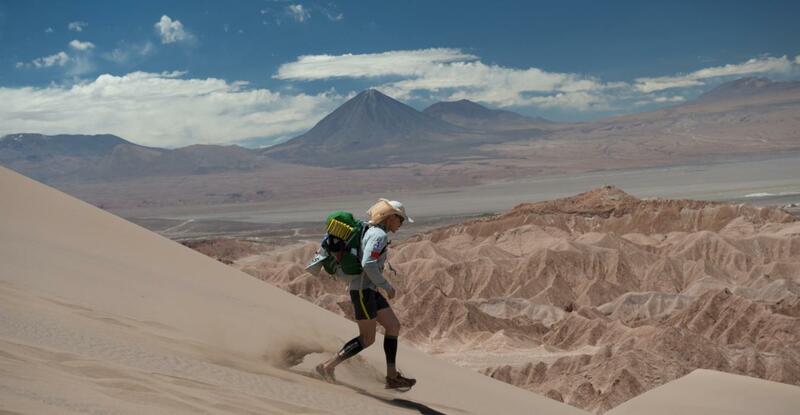 The fastest women's finish on any Atacama Crossing course is held by Anne-Marie Flammersfeld of Germany with an overall time of 29 hours and 49 minutes in 2012. The Atacama Desert is recognized as the driest place on earth - it is 50 times more arid than California's Death Valley. The Atacama Desert has the most lunar-like landscape on Earth and is frequently used by NASA to test its planetary rover vehicles. The Atacama Crossing is a self-supported race; competitors must carry everything they need for seven days on their backs. The average backpack weighs 9kg / 20 pounds. The lightest is generally 7kg / 15 pounds and the heaviest 14kg / 30 pounds. The Atacama Desert is 15 million years old. Some of the oldest mummies found on earth come from the Atacama Desert, dating as far back as 7000 years. Many competitors raise money and awareness for charities around the globe through their participation in the Atacama Crossing. The entire Atacama Crossing is held at least 2.3 kilometers / 1.4 miles above sea level and covers the distance required to make a horizontal crossing of the country of Chile (250 kilometers / 155 miles). Competitors use tablets in a specially designated Cybertent to write blogs and exchange emails during the race so that friends and family at home can receive some updates and send messages of support. The highest elevation on the course is at Camp 1, which is more than 3,000 meters / 10,000 feet above sea level. 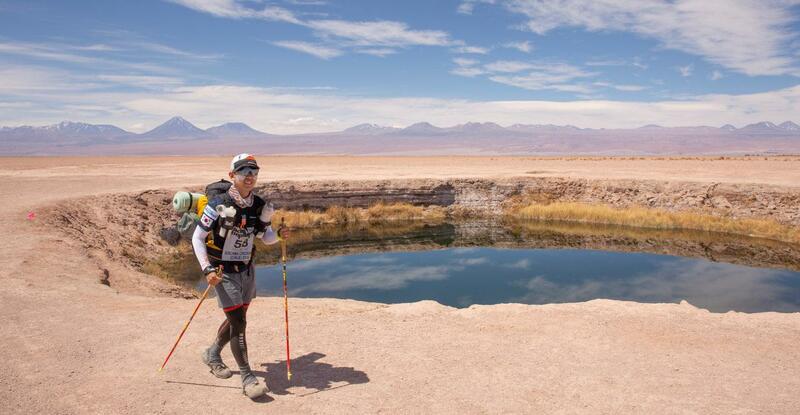 During the Atacama Crossing, competitors, volunteers and staff will consume approximately 15,000 liters / 4,000 gallons of water during the race. Daytime temperatures in October average 35°C / 95°F, while nighttime temperatures average 5°C / 41°F. Temperatures, however, range widely and the desert climate can be extremely hot during the day and cold at night. 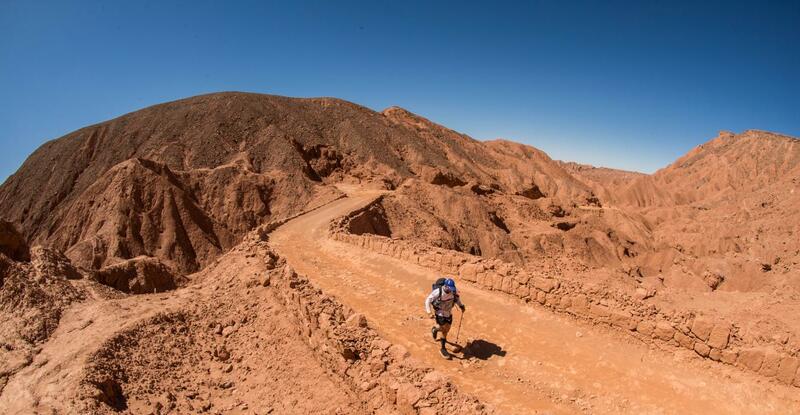 Up to 200 competitors representing more than 40 countries are expected to compete in the Atacama Crossing 2019. Approximately 30% of competitors are expected to have completed a previous 4 Deserts Race / RacingThePlanet Ultramarathon.